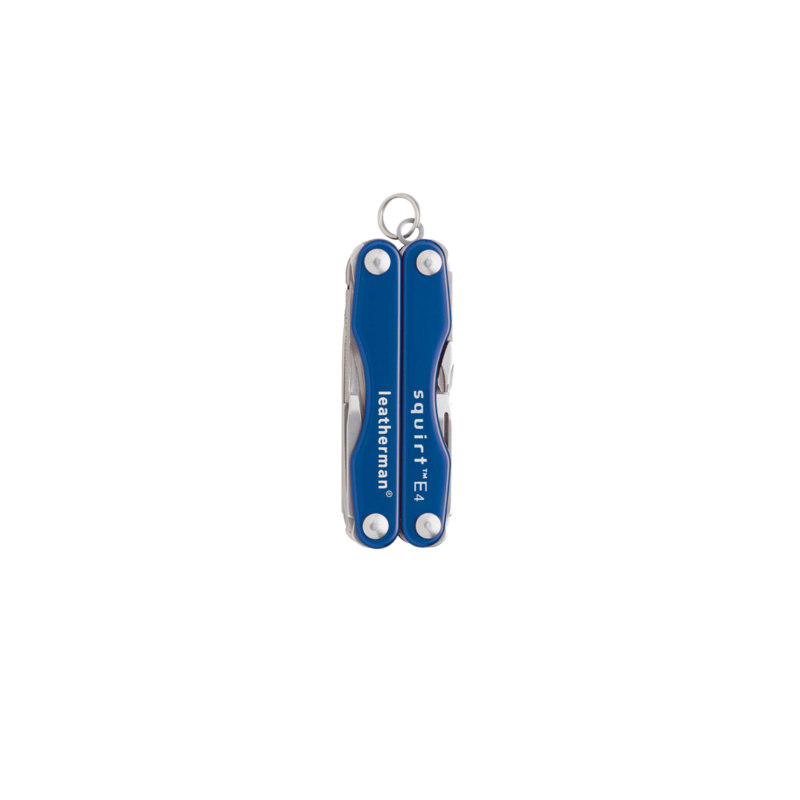 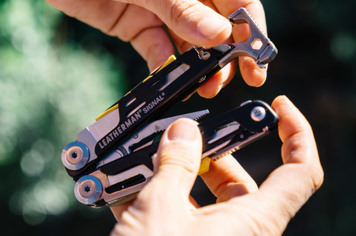 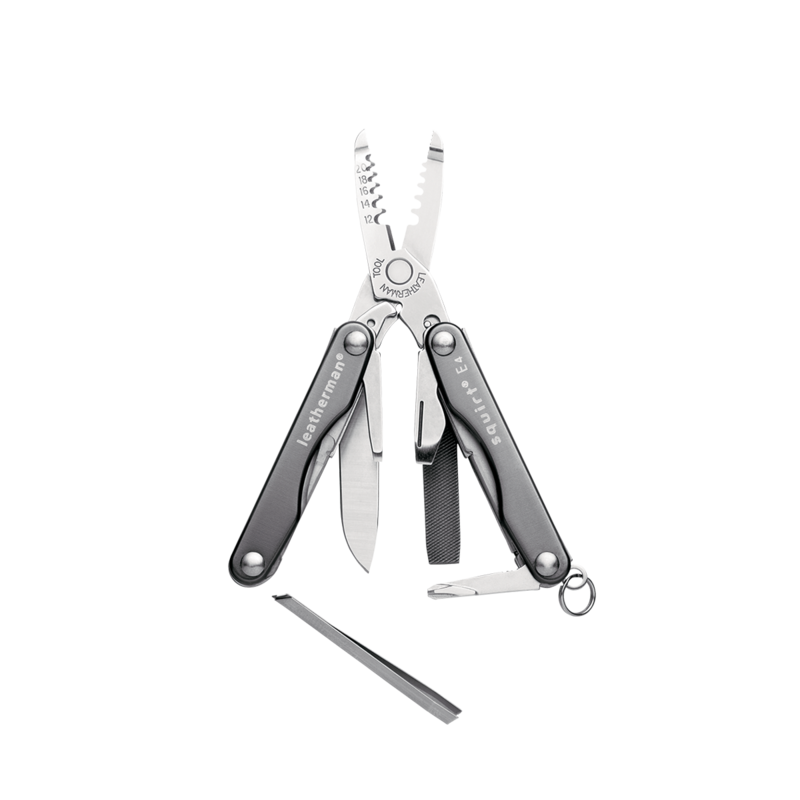 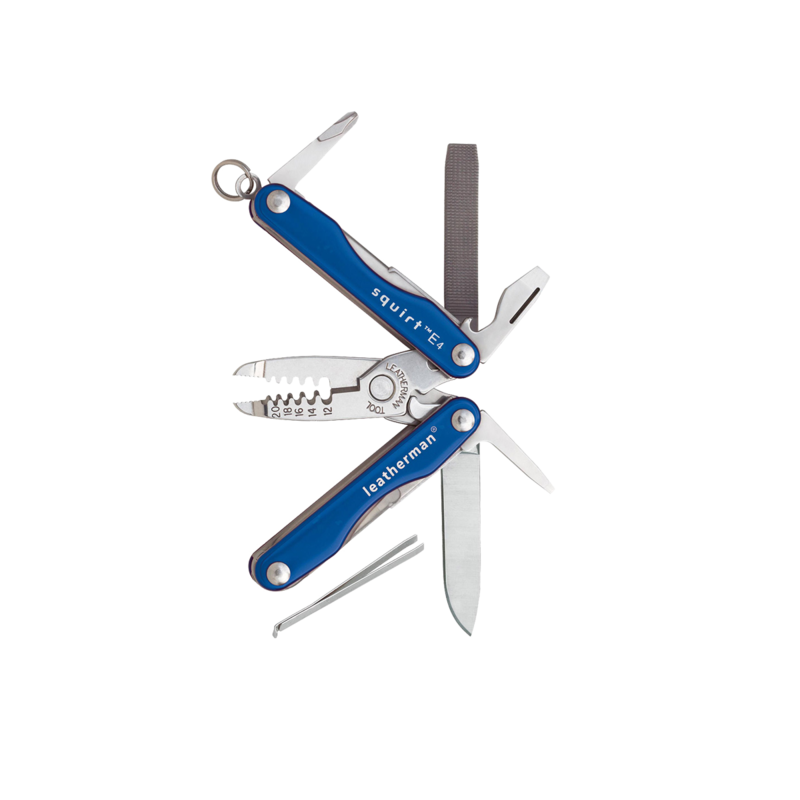 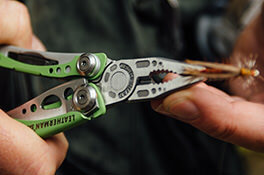 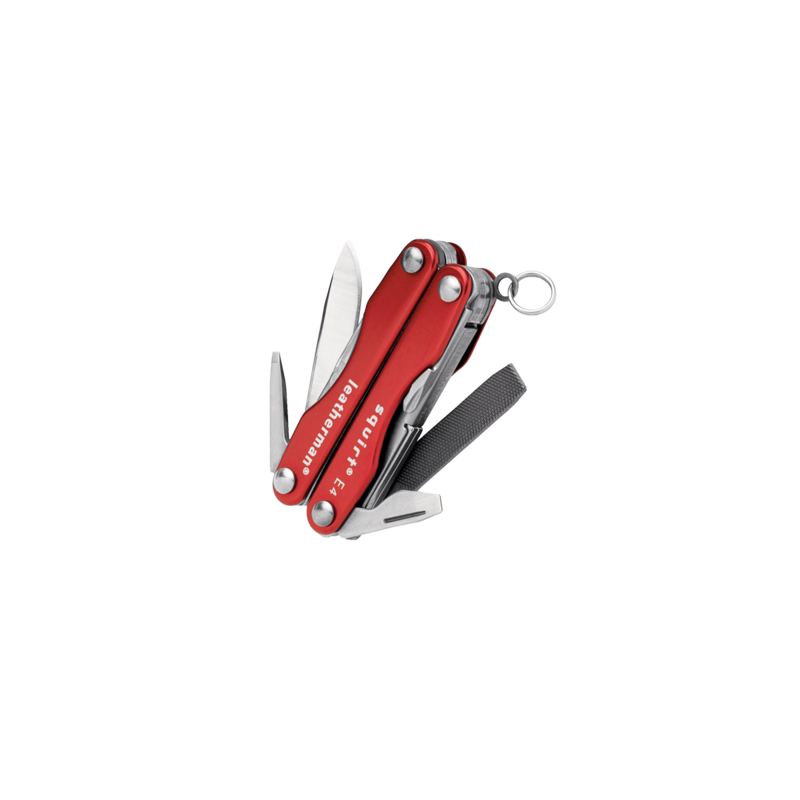 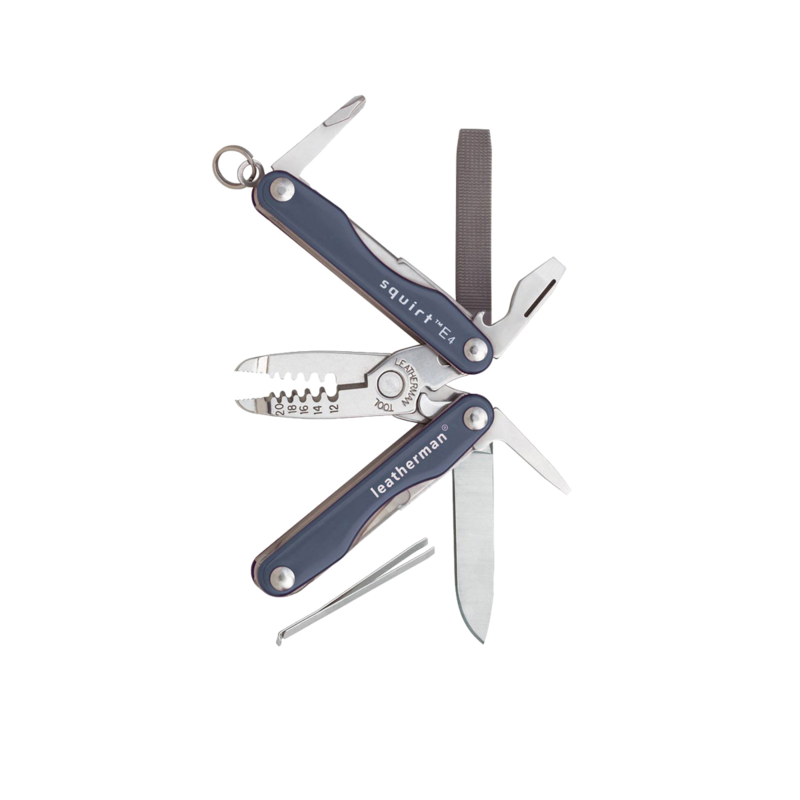 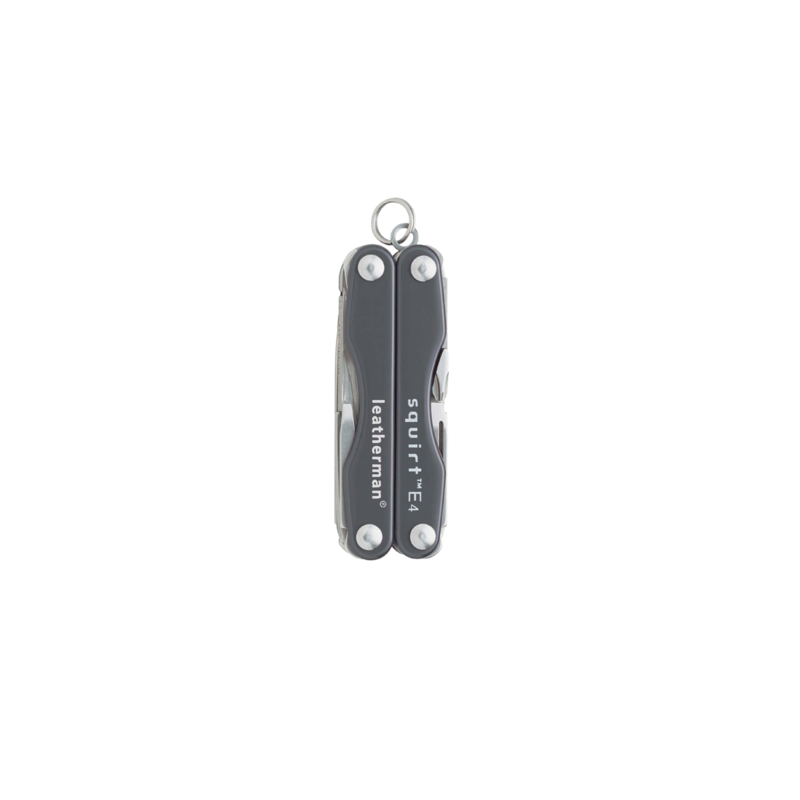 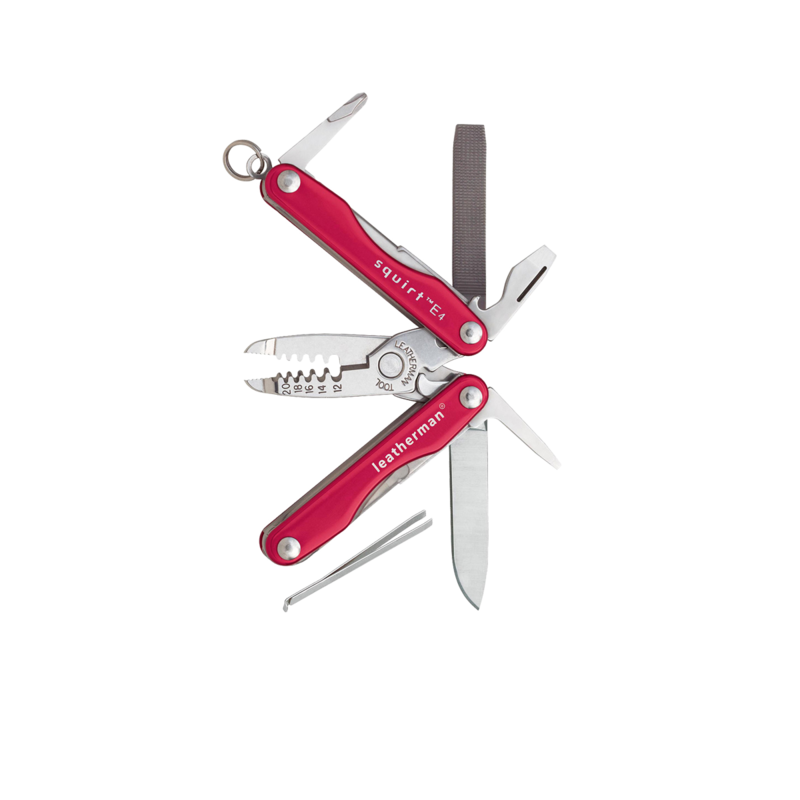 The Leatherman Squirt E4 is one handy and unique key-chain size multi-tool. 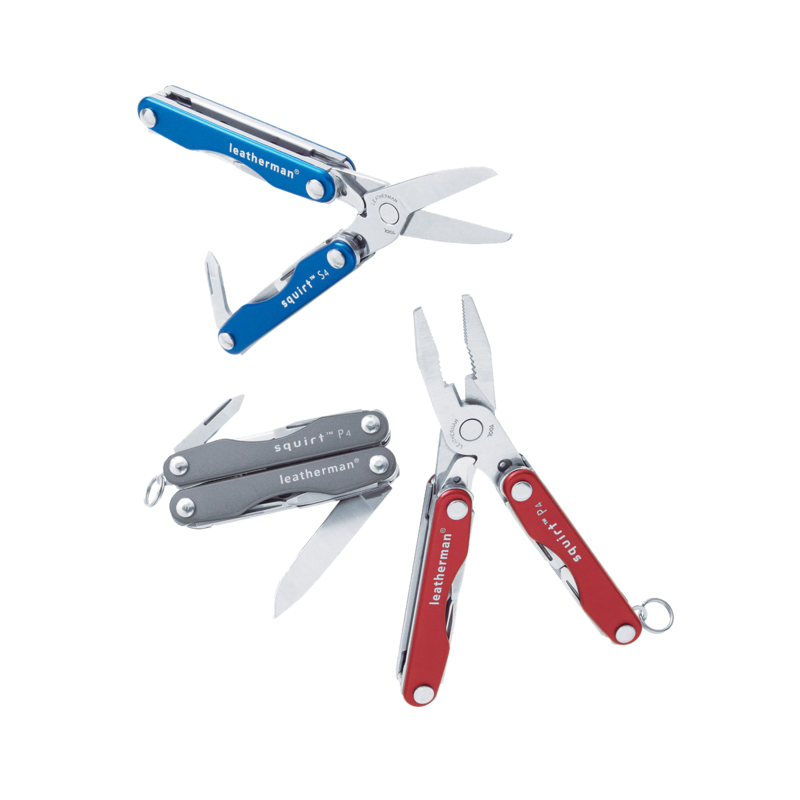 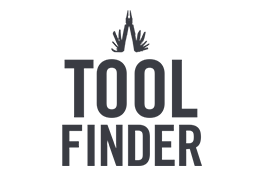 The E4 sets you up with 20GA, 18GA, 16GA, 14GA and 12GA wire strippers and electrical wire cutters to handle all kinds of precise jobs. 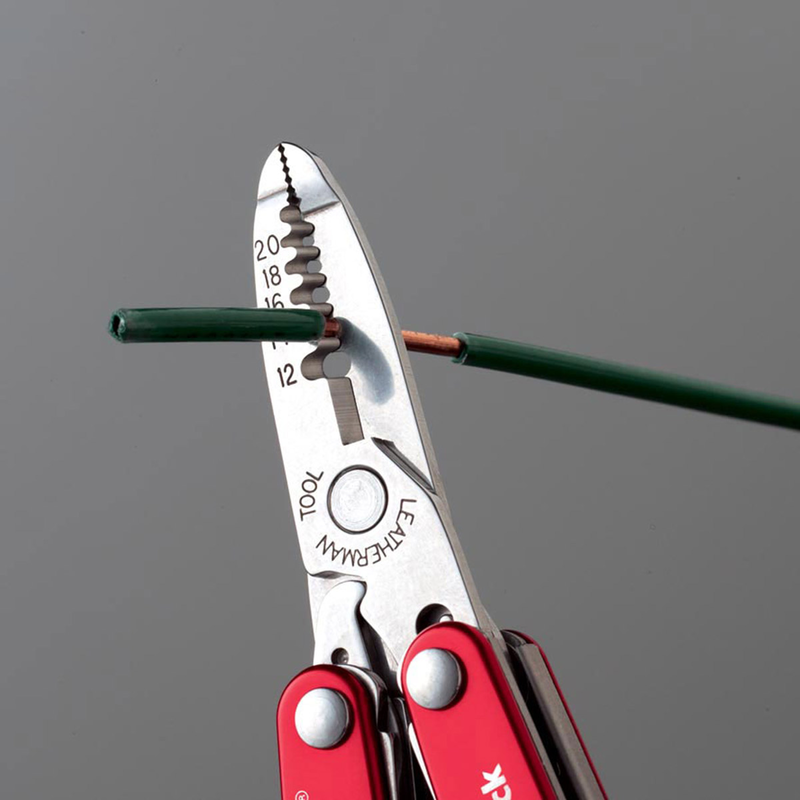 The gripping edges on the Squirt E4's spring-action pliers help you get a firm grasp on fuses, small cables, and many hard-to-reach items.